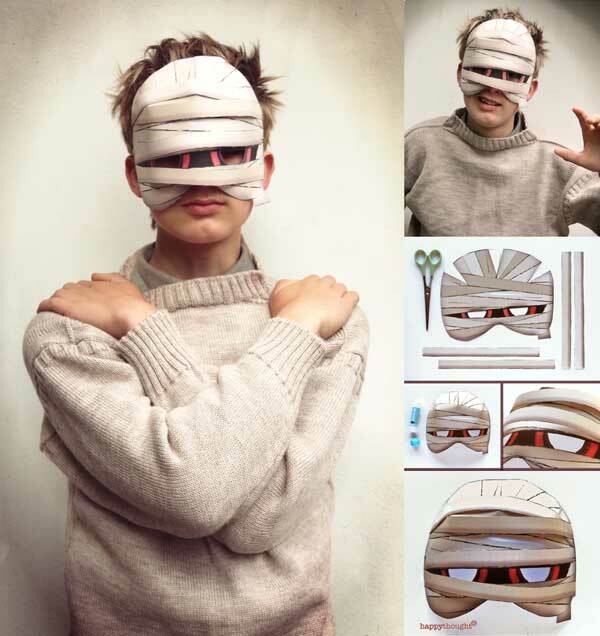 Spooky printable Halloween masks: 10 easy make DIY Halloween masks! 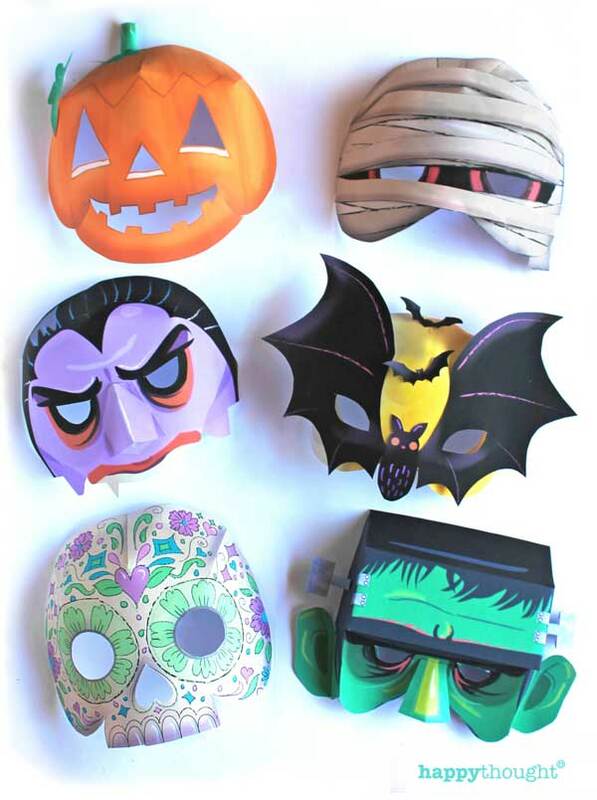 Home / Holidays / Halloween / 10 Super Spooky printable Halloween masks! 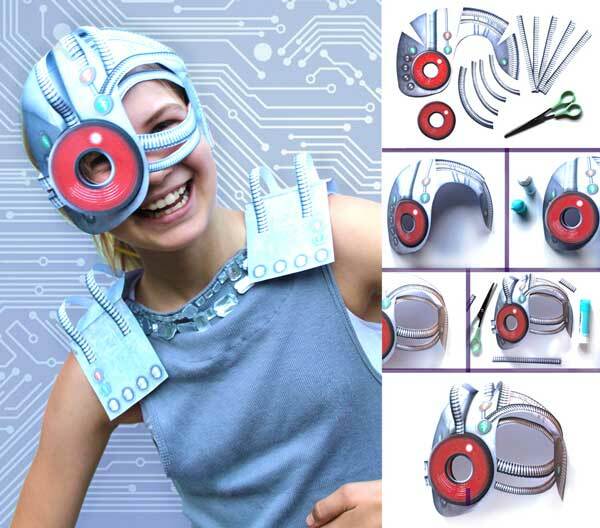 Need a quick costume idea for Halloween? 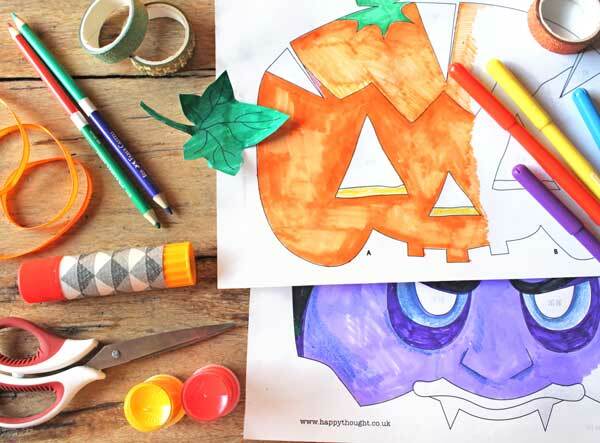 Check out these spooky Halloween printable masks! 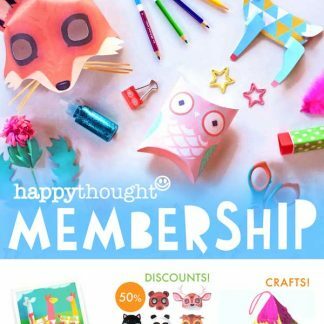 Woooooh! 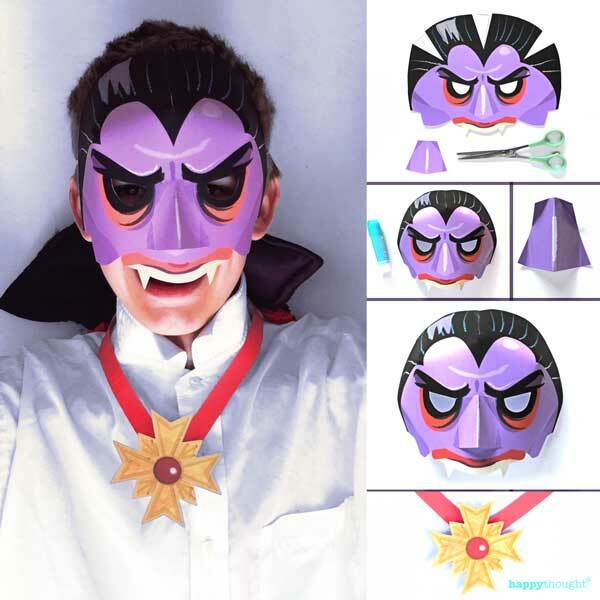 Check out our fun new Halloween mask pack, featuring a Vampire, Cat, Witch, Mummy, Calavera, Pumpkin, Cyborg, Alien, Frankenstein and Bat mask, just in time for the witching season! 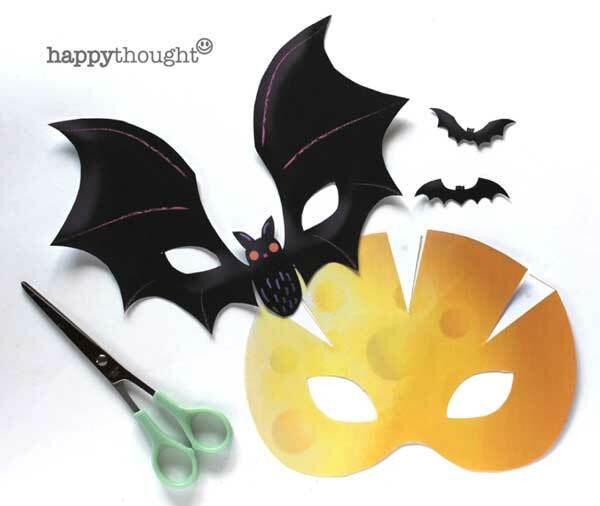 As always, these 10 printable Halloween masks are easy and fun to assemble, and all templates come with simple-to-follow instructions. 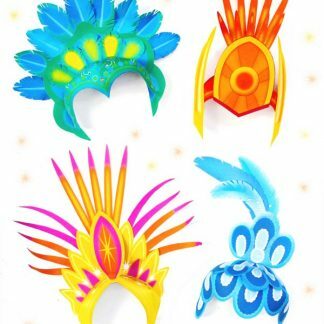 Each mask comes with a fun printable accessory to complete your costume. 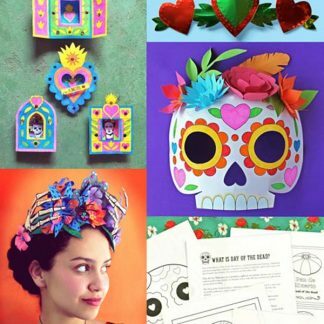 Perfect for a Halloween party, trick or treating, a school or home activity. 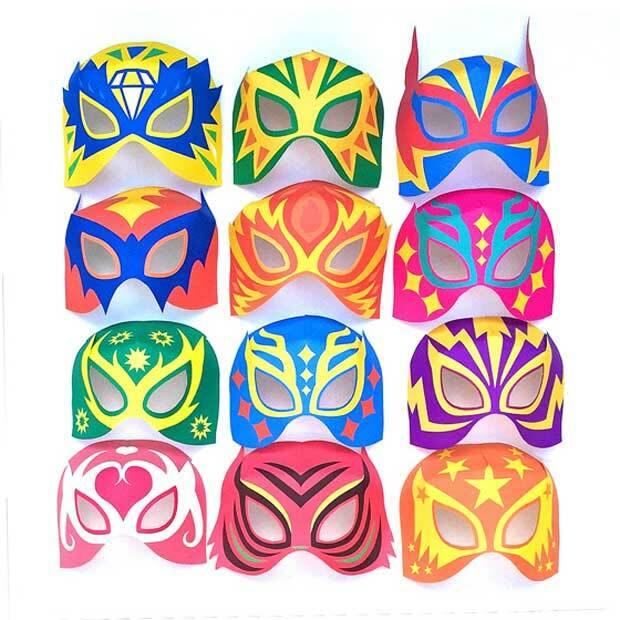 Print masks as many as you like, whenever you like! 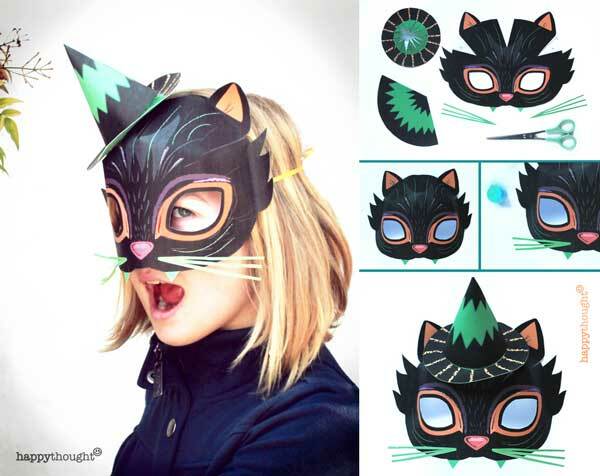 Why not be a Witch’s Cat…. 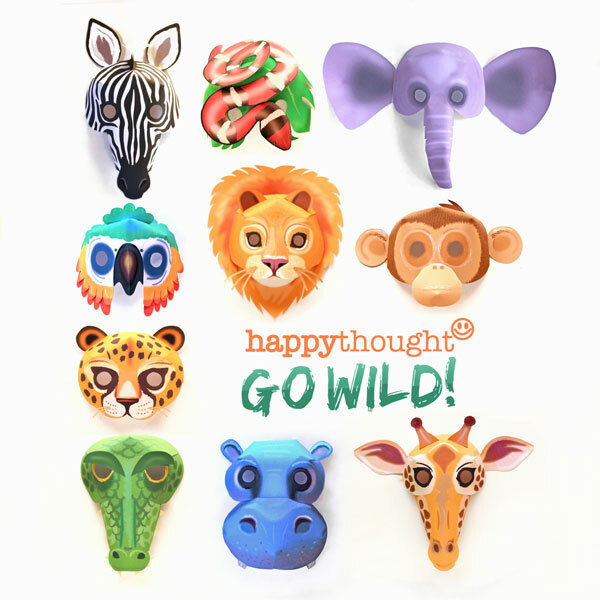 Don’t forget, each mask also comes with a black and white color-in version, perfect for classrooms or crafty afternoons. 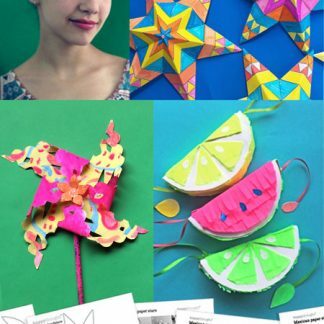 All the templates include instruction sheets with step-by-step photo instructions showing how to assemble each mask. 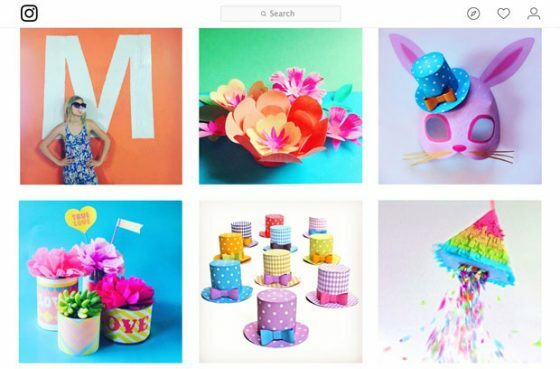 Our digital templates are designed to be easy to make. 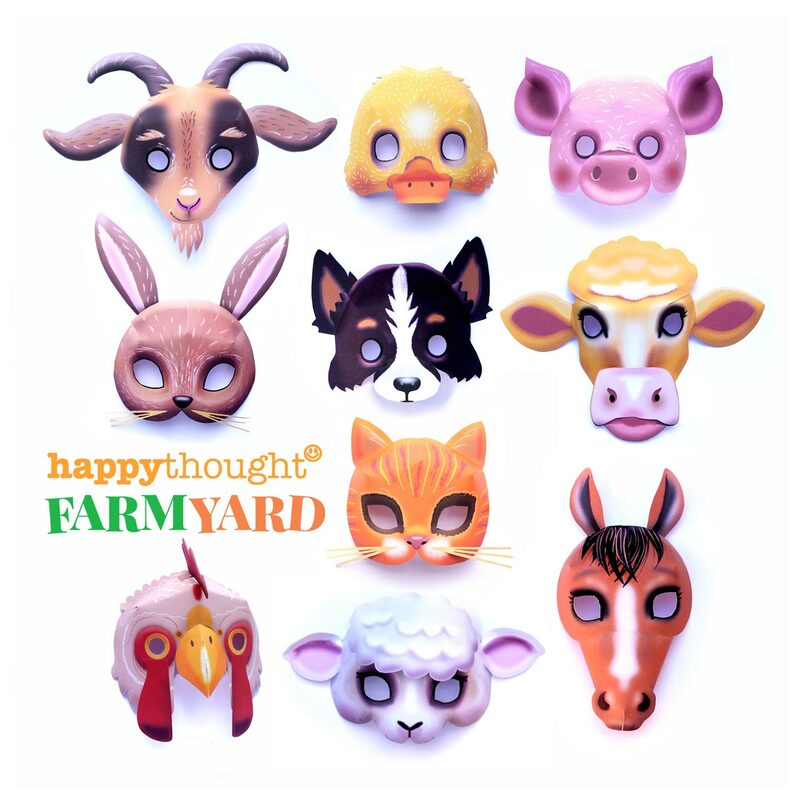 We like things simple too! 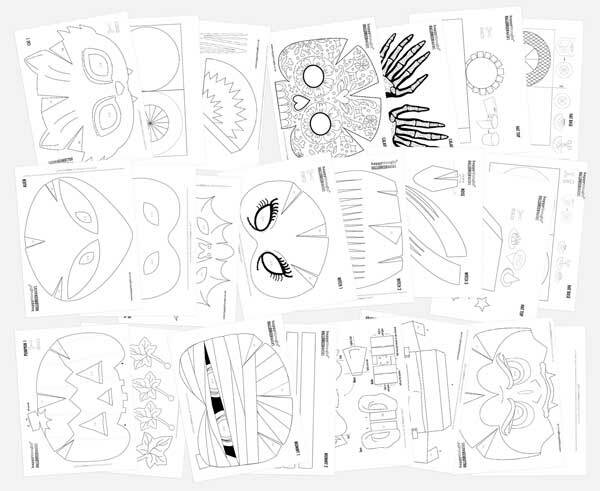 The printable Halloween mask pack also includes black and white color in versions of each mask! 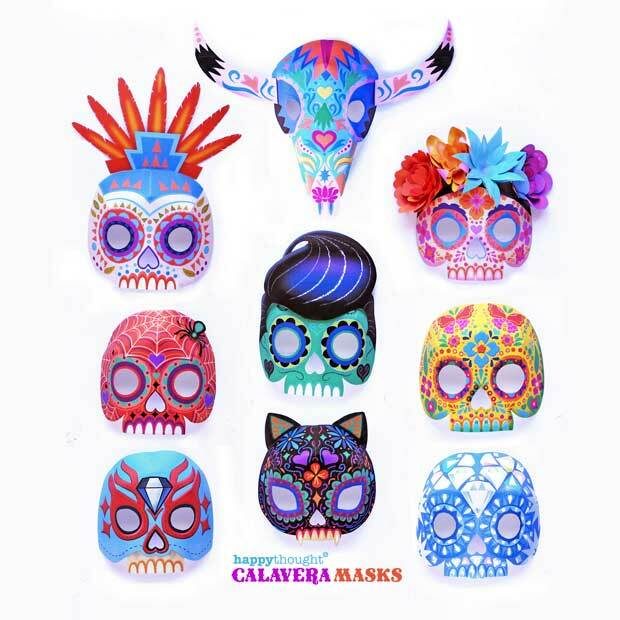 The Halloween mask set also comes with black and white color in versions of the Alien, Frankenstein, Cat, Witch, Mummy, Calavera, Pumpkin, Cyborg, Bat and Vampire masks. 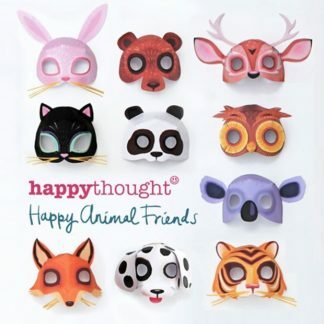 Or if you are a Happythought Member take 50% off all our mask sets, all year round!